Use your gifts to bring glory and honor to our father so he will complete his perfect plan in YOU! 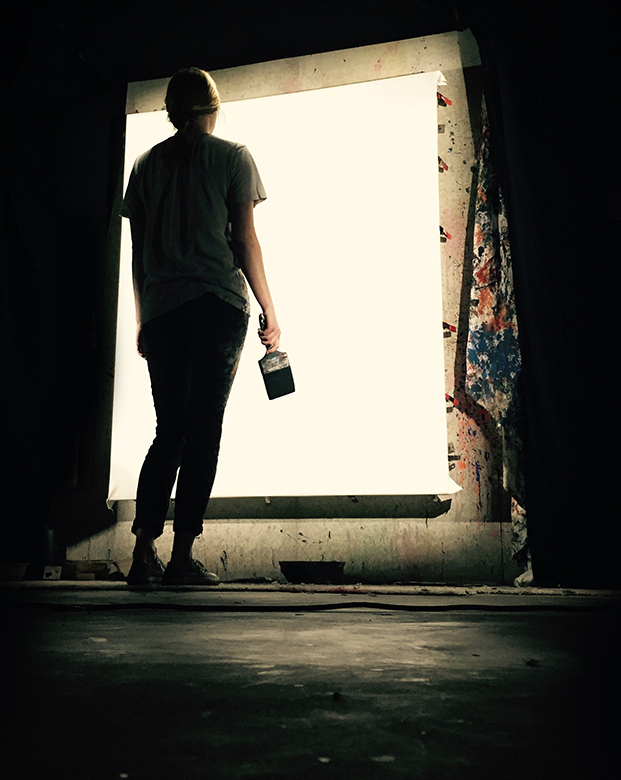 Maggie’s journey to Jesus Painter Ministries began that day as a 10 year old, but it would take a few more key experiences down the road to reveal and confirm her calling as a performance artist. Fast forward nearly a decade to Maggie the college student in Dayton, Ohio. Her love and longing for art had only grown with time, but she found herself becoming bored and frustrated with the graphic design courses she was taking. That’s when she decided to make the switch to fine arts where she found her true artistic identity while getting lost amid a flourish of paint and canvas. Over the next few years, Maggie delved into many in-depth, intense painting classes during which she fell in love with the whole painting process from start to finish. Soon, she reached the point of creative craving – it became impossible to resist the urge to paint and create on a daily basis. It was at this moment that Maggie realized art was both a gifting and a passion and that it was something she needed to use to serve God in His plan for her life. That’s when she was encouraged by her worship pastor at the time to try her hand at live performance painting during a worship service for her congregation. The event went well and she filed the performance away as a fun and unique experience, but nothing more immediately came of it. That would all change a few months later at her church’s summer camp. So the day before camp began, Maggie and her worship leader quickly gathered some miscellaneous materials around camp for her performance the next day. With faith, excitement, and a little bit of nerves, Maggie stepped out onto the stage during the worship service. And then came the tears of joy. The kind of tears that only make an appearance for the most intimate of worship experiences. An experience equal parts loud and quiet, Maggie letting the swipes of her brush form the words of her heart, offering silent strokes of prayer, praise, and worship to the God who had bestowed her with the very gift she now used to bring him glory. The initial live painting experiences were intimidating at first, but as she became more comfortable with painting for herself, Maggie came to crave art as a highly emotional and worshipful encounter. With the addition of live performance, painting became both a form of personal worship as well as an opportunity to create an environment of meaningful worship for others. As her skills developed, Maggie yearned to find an outlet for continuing to explore her talents and ministerial calling. That’s when she sent an email to Jesus Painter Ministries. What Maggie didn’t know then was that we had just decided the day before to begin our search for a new artist. We had also just finished a long tour of 20 stadium performances for the Women of Faith conference, an experience which had us alert and on the lookout for promising young female artists to bring into the fold. Clearly the Lord’s providence was weaving Maggie’s story and that of Jesus Painter Ministries into one tapestry. It’s been three years since that fateful reconnection and Maggie has been surrendering her gift as a tool for God to bring others into transformative worship experiences ever since.